We’re packing for a week at the beach, getting together sand toys, towels and sunscreen. Something is missing. We’re down one. Our family pet died a few months ago. 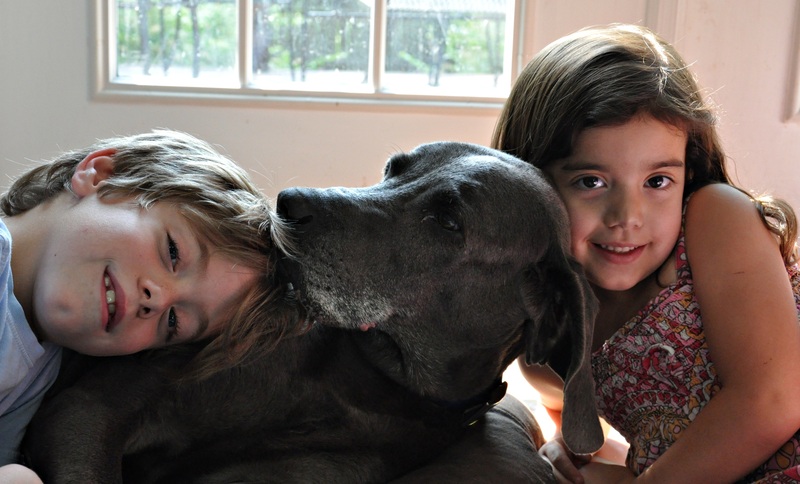 Sam, our 13-year-old Weimaraner, had legs that couldn’t support his 90-pound body anymore. We kept hoping he would just pass on his own, but it wasn’t happening. We had to put him down. Although it we agonized over it, we made the right decision. He was living each day humiliated because he could no longer do the things that happy dogs do. He got the newspaper from the foot of the driveway, shook hands enthusiastically and sung for his supper. We got him when we were in college, so the fact that he could get beers out of the fridge was pretty incredible, too. The Man would say “Sam, go get a beer!” Sam would run to the kitchen, returning with an ice-cold Natty Light for his owner. Once, when Sam had gotten in trouble for something or other, The Man disciplined him and he left the room embarrassed. Sam quickly returned with a cold beer, dropping it at The Man’s feet. Grateful, of course, the Man saw right through this, realizing that Sam was doing nothing more than kissing tail, though he thanked his faithful dog. And then another beer appeared. And another. And another, until nearly a 12 pack rested on the den floor. He had gas. Like any other dog, Sam could clear a room with the tiniest puff of air. The best part was that he was somehow always startled by it. There’d be an audible “pffffffft” and he’d jump, looking around to see from whence the sound came. He was probably even more scared when he realized everyone else had left the room. He was a swimmer. He would spend all day in the water, retrieving anything we threw. He loved the ocean, chasing birds up and down the beach. At the lake, even in the winter, he’d follow the boat out to the end of the cove, swimming until he couldn’t see us anymore. We’d get tired of throwing the ball before he got tired of getting it. Speaking of swimming, did you know that dogs don’t pee while they swim? We learned that the hard way. They will go on the boat if not given a chance to walk on dry land. He was a pleaser. He was a dog of many tricks, but, like most dogs, sit, shake and roll over were used most frequently. He’d get so excited about showing off that when we would command him to sit(!) he would quickly shake and roll over again and again. “Sam’s a dead dog!” never got old. He’d roll right on over and wait for the belly scratch. He was our dog. Our first pet. Sitting down to tell The Boy and The Girl that Sam’s legs couldn’t be fixed was the hardest thing we’ve been through as a family. The Boy was quiet, The Girl howled. They cuddled on the floor with Sam, giving him all the lovin’ he deserved. We said our goodbyes. We’re all pretty sure that he can run on the beach again. He eats steak at every meal and someone is probably bringing him beer. Do you think his gas is still rancid? ← Dentists – Scarier than Clowns? So hard to lose a pet – sounds like he was one of a kind.